Need some plans for a Saturday afternoon? 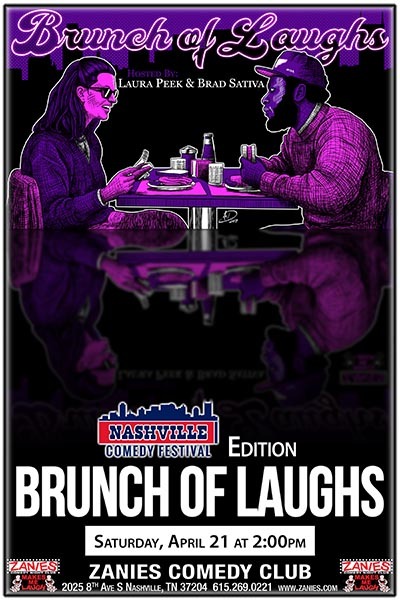 Join your hosts Brad Sativa and Laura Peek on April 21st for the next installment of our Brunch of Laughs Comedy Showcase. We’re serving food, drinks, and laughs brought to you by the most talented comedians in Nashville and beyond. Bring your girls, your guys, even your entire bachelorette party! The best dressed bachelorettes win a $20 gift certificate to Zanies There’s no better place to start your Saturday night in Nashville than brunching with us!